As a Lewis Hine Documentary Fellow, I worked with exalt, a small Brooklyn-based organization that elevates expectations of personal success for youth involved in the criminal justice system. The organization was created in response to the issues of mass incarceration, high school dropout rates, and the lack of employment and engagement opportunities for many New York City teenagers. exalt serves youth throughout New York City, yet consistent with patterns of arrest rates, participants come from the city's most under-resourced zip codes. Over the course of the fellowship I worked closely with participants to create work that embodies empowerment through self-expression. I made hundreds of portraits of exalt youth for them to share on social media and with family. 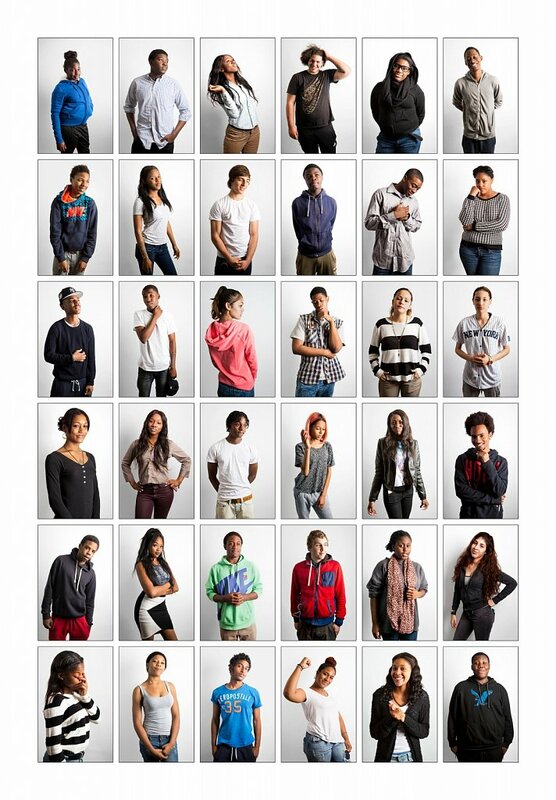 As I photographed, the young men and women reflected on how the knowledge they were gaining at exalt made them feel. Learning about systematic racism and institutional injustice produced many emotions, but ultimately the knowledge – along with the skills to to navigate the structures of education, employment, and criminal justice – resulted in a sense of power.